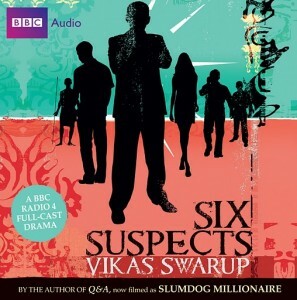 This week we wrap our third part of Six Suspects by Vikas Swarup, adapted by Ayeesha Menon and produced by acclaimed BBC Producer John Dryden. At a lavish society party to celebrate his acquittal, he is himself murdered. Who did it? We wrap this gritty and gripping Indian whodunnit. If you like more of John’s work, hurry hurry to BBC Radio 4’s website where you can hear his new drama, PANDEMIC for a few more days now, and also check out his own website at Goldhawk.eu. Prior to Six Suspects, we have our latest chapter of The Cleansed, wherein David, representing the Refuge, meets the clan master of the Dwellers, and John Prophet, Maria, and Luke make a getaway.